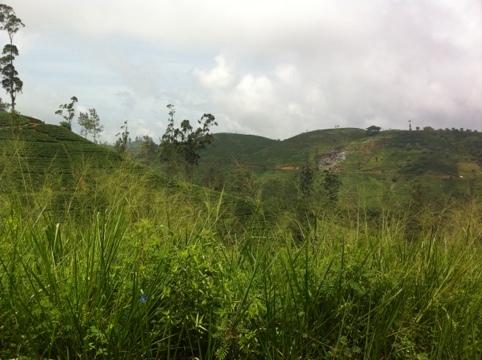 Our first steps into Sri Lanka were beautiful, it’s airport is the most stunning we have seen yet with its perfectly manicured tropical gardens. We are sad to leave out good friend India but are excited to make a new one. We hop on a bus to the capital city and find ourselves saying, “it is very civilized!” We notice that cars, buses and tuk tuks etc stop at pedestrian crossings. We are dumbfounded. We see modern cars and buildings and the shops sell more varied and modern goods. 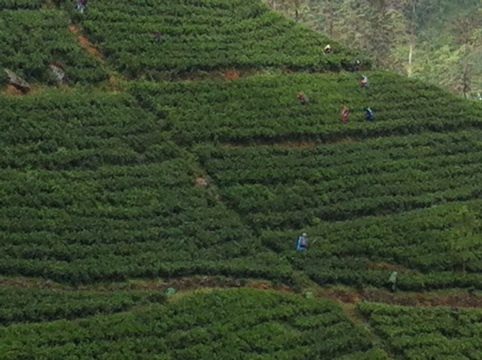 After 2 months in India we feel like we could be in a western country. We stay in Colombo for 2 nights, near the train station which is also wedding card central! Don’t get excited family and friends there were no purchases. Literally on one street there would be more than 100 wedding stationery shops, and the whole suburb is like this. I did make one enquiry and to have cards made and printed it would cost 4c each – I’m not to sure if that is a good deal or not. Today we wake at 5am for a train trip across the country through the mountains. 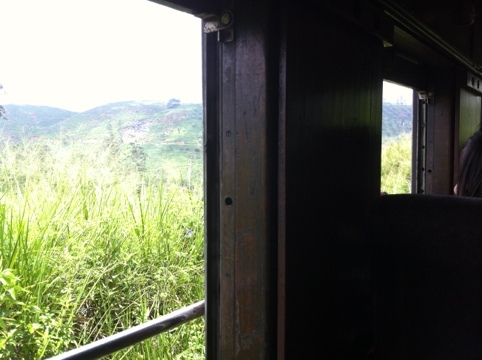 We are in an ‘Observation Carriage’ which is the last carriage with a large back window looking out over the picturesque mountains, villages and tea plantations. 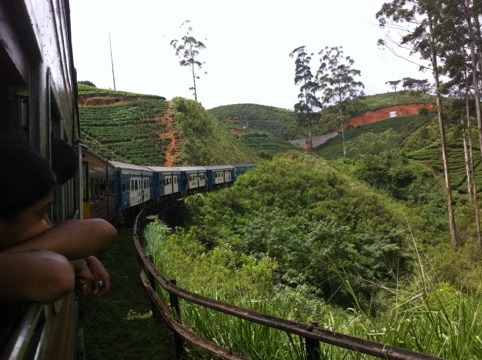 This entry was posted in Sri Lanka and tagged Colombo, Ella, Trains. Bookmark the permalink.